Color is such an important part of daily life. You can’t deny that certain colors make you feel happy, relaxed and ready to get started with the day! That being said, oftentimes some of the most important spaces get left behind with outdated colors that don’t reflect the purpose of the room. Choosing the right color for a commercial painting company in Atlanta, GA, to paint in your office is actually a really important decision. That’s because color can make a major difference to your work environment as a whole, setting the scene for cooperation, collaboration and creativity. 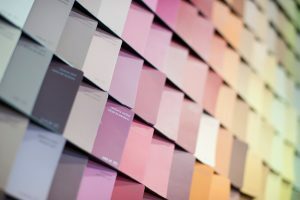 Here are some of the best color options to consider for your office painting projects or repaints in commercial buildings. Experts in commercial painting are huge fans of blue hues, which can elevate your workplace experience to the next level. If you want to promote productivity and make a statement, a beautiful blue color is perfect. 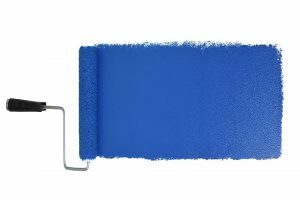 Commercial painting contractors are always bringing blue accent walls to life, creating a soothing yet powerful look that many people can enjoy. It’s no secret that blue is the favorite color of many, and adding it to your office can bring dimension, depth, and delight to the room for you and your coworkers! A dramatic yet dazzling color choice, forest green and similar shades look best on feature walls or in meeting rooms. Green is known as a fabulous color for inspiring the mind while providing a natural and earthy appearance many people can relate to. If you want to make the most of your green addition, you should pair it with dark woods, warm natural tones, coppery metallic, and pale neutrals. The strength of the green will bring any room together seamlessly, giving you a sleek and stylish office you can be proud of. Plus, forest green is one of those colors that looks good with all sorts of office furniture and designs. Light colors can make a powerful and positive impact on your workspace, too. This easy and enjoyable shade is soft and soothing in an inviting way, making you want to stay in your office space and work all day long. With a wonderfully warm tone, this color is ideal for reception areas or office seating spaces. It can also be used for small meeting rooms or cubicle setups. One of the biggest benefits of using a color like this is that it goes with all furnishings, whether that be dark wood, light wood, or even white wood. Compare and contrast for a hint of whimsical romance and a color that makes you feel inspired and invigorated! The last color to touch on today is golden yellow. It’s bright and bold, which is exactly what you need to keep your staff on the ball and ready to work hard. It’s different and unique, while drawing depth to a space and bringing a sense of fun and positivity to your workplace. Whether you’re in a more traditional office or a modern organization, golden yellow walls will be like rays of sunshine for your workday routine! If you’re ready to refresh your office space, get in touch with Fillo Painting today for the best commercial repaints around!